Stonecroft is a small, family owned winery in the Gimblett Gravels, Hawke’s Bay. 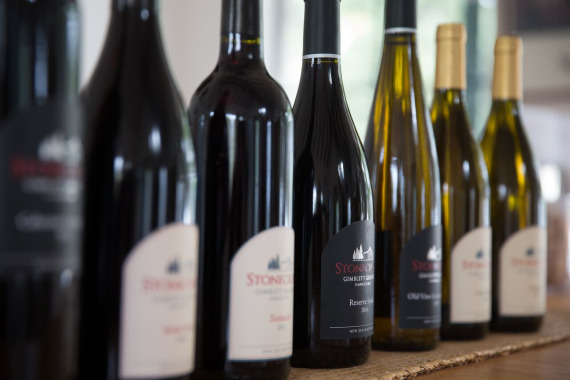 Established in 1982, Stonecroft has the oldest Syrah vines in New Zealand. The winery produces only a very small number of bottles, using traditional methods. It is well known for its Syrah, Cabernet Sauvignon/ Merlot blends, Zinfandel, Gewürztraminer and Chardonnay wines. Pruning and harvesting are carried out by hand. All three vineyards are certified organic and yields are very low. Stonecroft's approach in the winery is one of minimal intervention. The wines are intense, full-bodied, elegant and fruit-driven, but capable of significant bottle development.